Discussion in 'Fan Art, Cosplay, & Fiction' started by Razyda777, Nov 10, 2013. 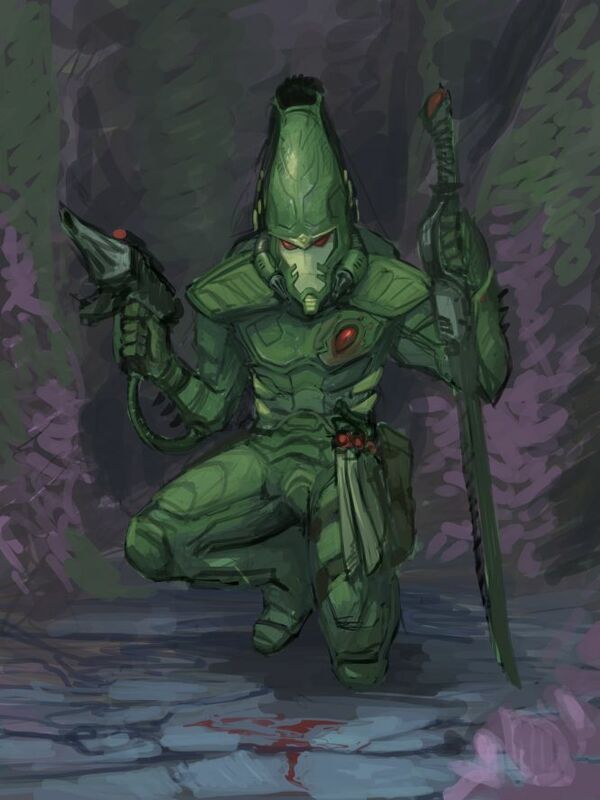 I wanted to paint some new WH40k picture(s) for some time now so this thread http://forum.eternalcrusade.com/threads/send-us-your-eldar-fan-art.2267/ is right up my alley. I will post finished pieces in the OP and WIPs down in the thread for people who like to watch the process. 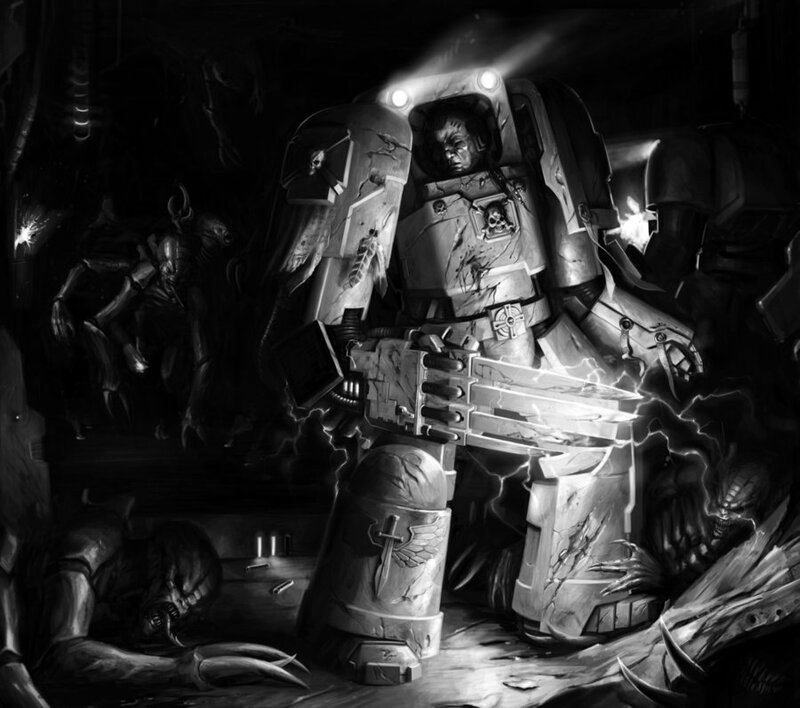 Short introduction : Been around Warhammer games since I was a`10yo babby, because of my uncle, a big a WH fan,Dark Angel player and a p&p GM. 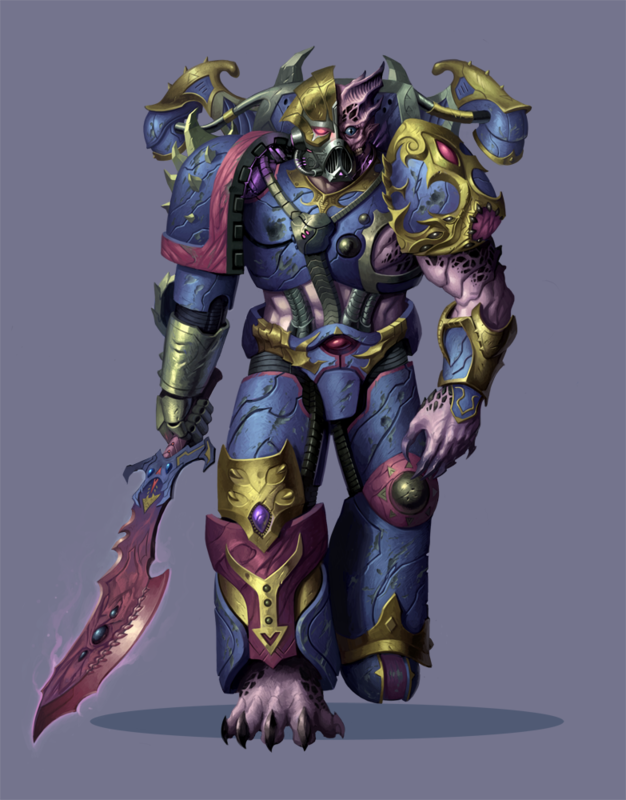 Alwayes loved the WH aesthetics and I'm sure it influenced my art style. 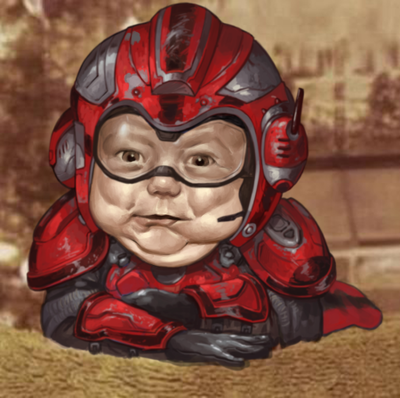 Played Planetside 2 since beta until this september, and I would still play it if my GPU didn't die. Still love the game despite it's flaws, and I think it gave a me a pretty good idea what works, and what doesn't work in MMOshooter. 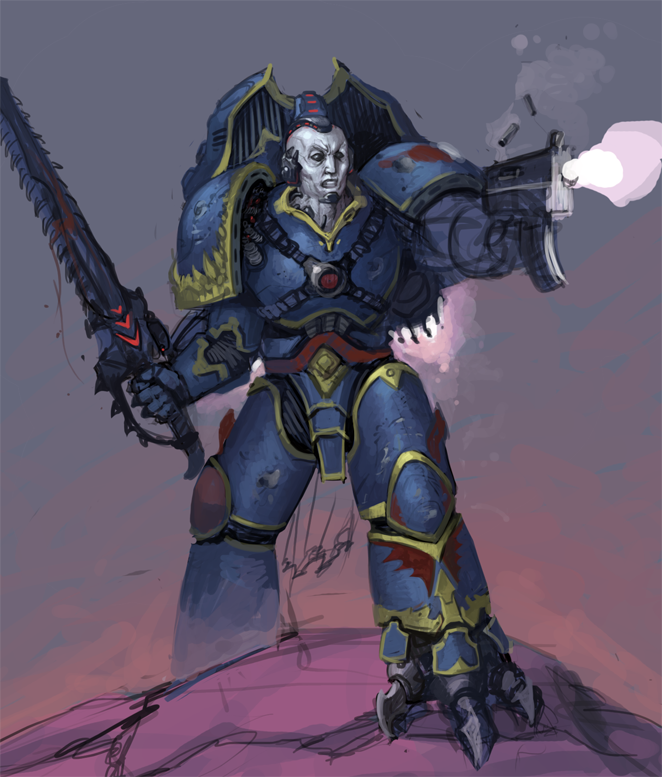 So as you can guess MMOTPS in 40k universe is mighty interesting to me. Crioxus, KheldonHurrst, Ultio_Ultionis and 7 others like this. 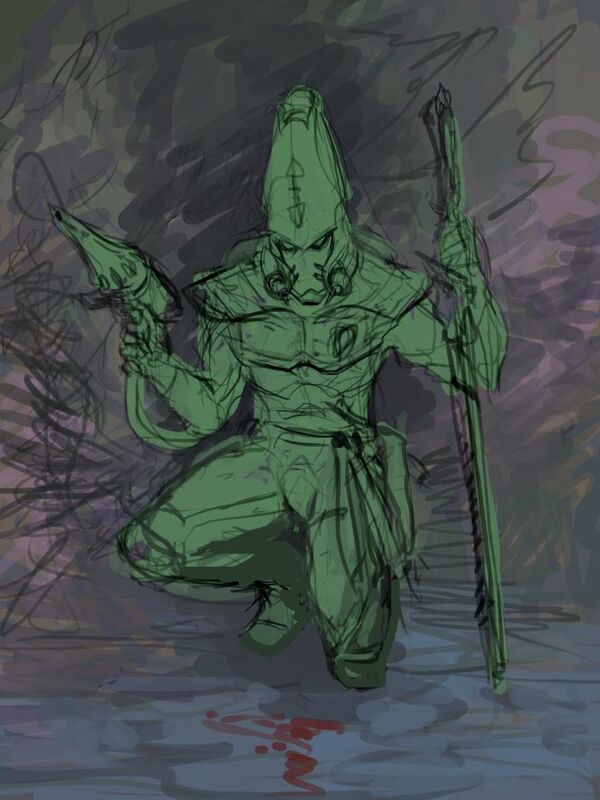 This is ( or rather will be) my first Eldar artwork ever, the idea is very simple- a Striking Scorpion is following a blood trial to find a soon-to-be victim. Jorimel, Dark-Rider, KheldonHurrst and 2 others like this. Jorimel, Dark-Rider, Ultio_Ultionis and 7 others like this. Thanks NB, btw this is next thing I have in the pipeline, I'm pretty sure you'll gonna like it for some mysterious reason .. Dark Rider, Ultio_Ultionis, ThisHermitGuy and 7 others like this. I absolutely love it. I adore that Raptor look! 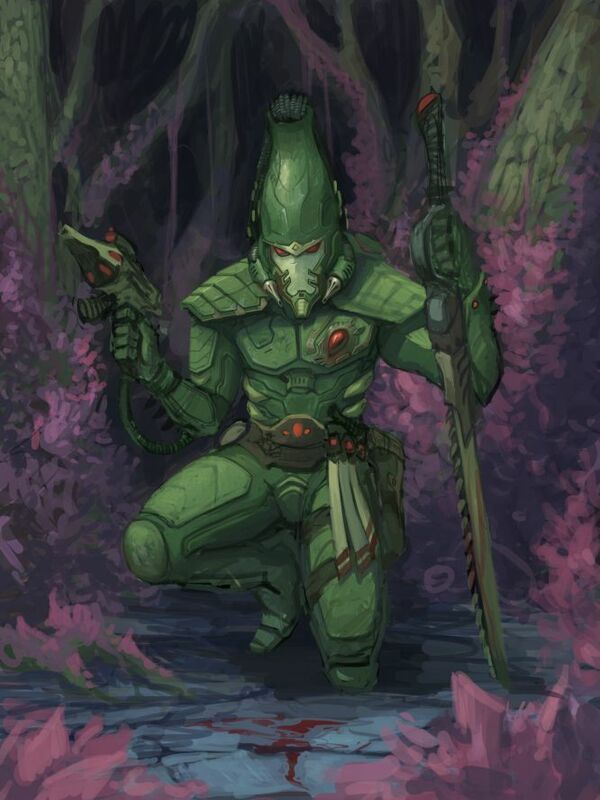 Not a big fan of the Eldar, gamewise, but their art has always intrigued me. And this one is great! Very nice. Small critique though. The mandiblasters are pointing too much towards the guys chin. If they shoot..well unless the other is kissing the scorpions chin, they'll miss.